Who the f— is Carol? 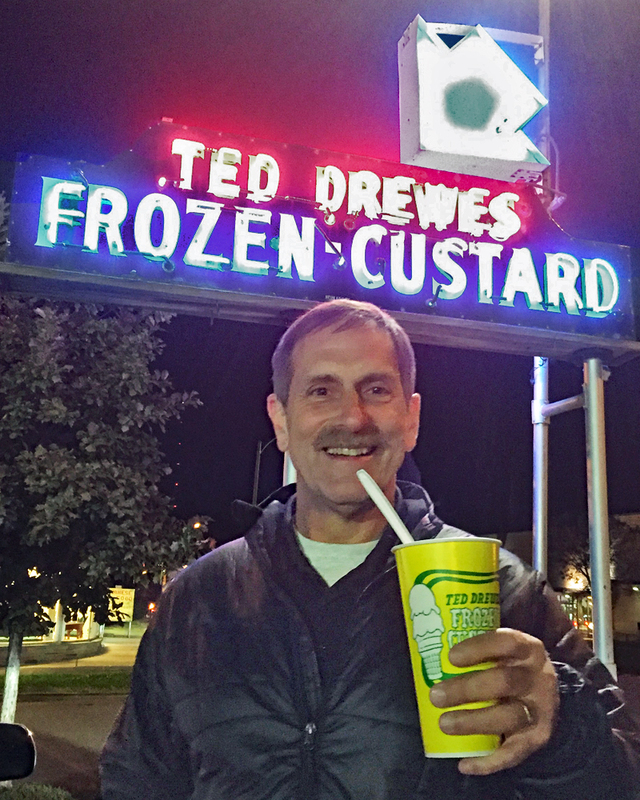 As you can see, a very happy Bob is enjoying himself at his favorite Saint Louis eatery. He swung by the house for a while, before we first went to Schlafly and then Drewes. He’s still working, going strong and enjoying his job, even when they don’t read his newsletter. I wonder if it is as long as his Christmas letter? Probably not, since the newsletter only spans a month and not a whole year. There seemed to be some daylight with Nink on the retirement horizon, but nothing definite enough to pin hope on. After all of this, I walked him around the neighborhood and amazed him with my stupid human trick of extending the range of his car clicker by holding the palm of my hand behind it. All those years at Boeing were good for something. We eventually sat down on the front steps to solve all the world’s problems. This entry was posted in Friends, Photography, Saint Louis by RegenAxe. Bookmark the permalink.